The one of its kind online customized tiffin service in jaipur with a unique feature of opting menu daily and the concept of GREEN DIET (Fasting meal) has made it a bliss for "The Tiffinites of Jaipur". 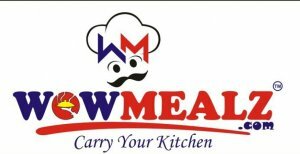 Our kitchen goes with you :- Weather at home or office you can always look into your kitchen and see "Aaj kya bana hai". "Green diet" :- Having fast today or just wanna give your stomach some rest... Go for our so called "Green diet", specially designed for fasting people.